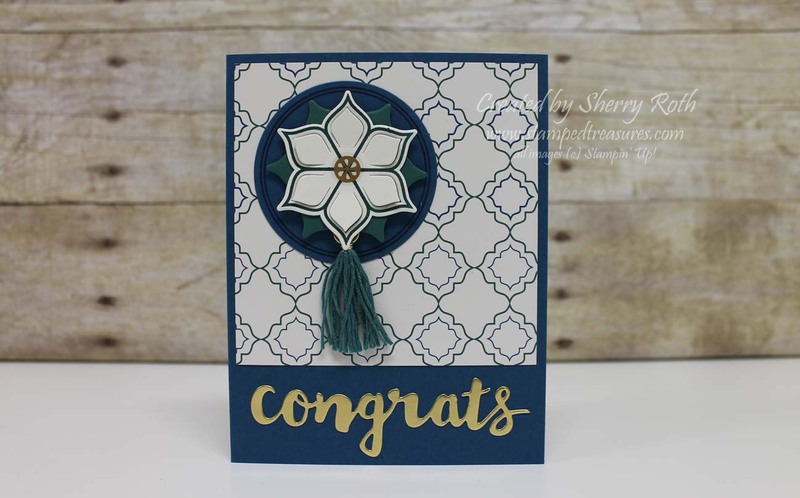 Today's card, inspired by one similar in design created by Rachel Tessman, is the card that went out to all my team members this month to celebrate their April sales, promotions and recruiting. This Eastern Palace suite is just so fun. To add an additional touch of gold I used the congrats die from the Sunshine Wishes framelits set and cut it from our gold foil cardstock. Still time to get a set of the Beautiful You card kits, but only until tomorrow (Tuesday)! A new hostess code and new card kits will go up on Wednesday. Order your Eastern Palace bundle, or any other product totaling at least $50, from my Canadian online store using hostess code X2DMAPAE and I will send you a free gift of two card kits along with a handmade thank you card.